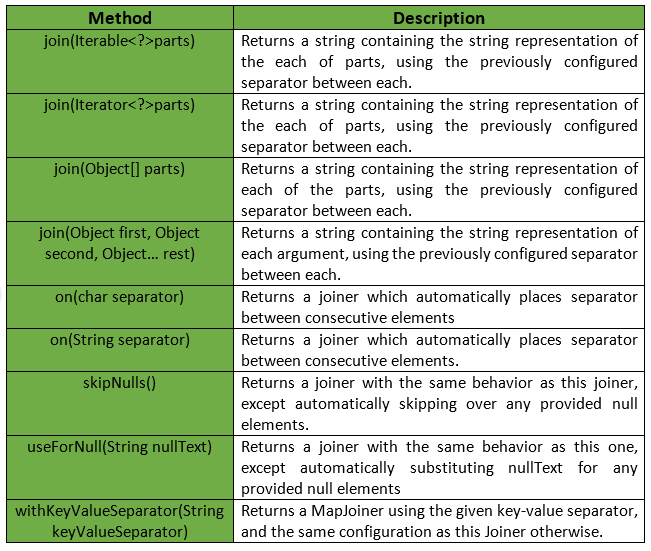 Guava’s Joiner class provides various methods to handle joining operations on string, objects, etc. This class provides advanced functionality for the join operation. // Use Joiner to combine all elements. // ... 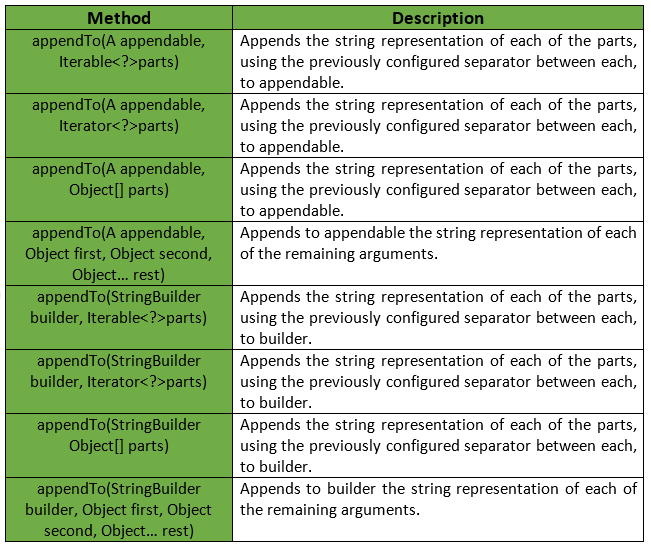 Specify delimiter in on method. // an Object array. It returns a String. // null elements in an array or Iterable are removed. // Often null elements are not needed. // $$ Specify delimiter in on method.